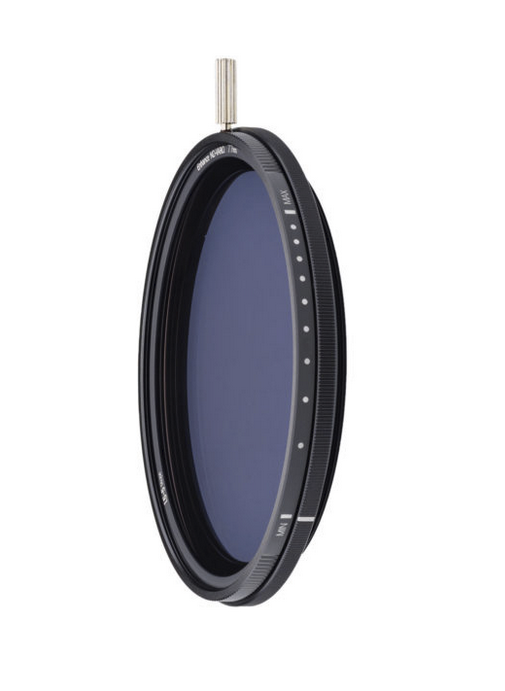 The NiSi ND-VARIO Pro Nano 1.5-5stops Enhanced Variable ND is a variable neutral density filter providing an exposure reduction of 1.5 to 5 stops. The degree of density is easily controlled by rotating the silver knob. The transition of density occurs smoothly which allows the photographer or videographer to adjust exposure length to the exact amount required for a given scene. For those using this filter with cinema or video cameras, combined adjustments of aperture and this filter allow fine adjustments of depth of field while retaining the designated frame rate.